The Cybex 770A lower body arc trainer is supplied with LED display that provides feedback on BPM, calories, calories per hour, distance, SPM, METs, watts, incline and resistance. The monitor also displays the Innovative Muscle Map that shows the intensity of the exercise for individual muscle groups. The machine also features CardioTouch screen with controls for workout and entertainment. It allows for easy workout set-up, iPod or iPhone charging as well as scrolling through playlists, albums and more. The machine offers wide range of programmes that include: 1 manual, 2 weight loss, 3 strength, 2 fitness/shaping, 2 cardio, 1 HRC and 2 power. Each programme (except HRC) has 10 levels of difficulty to enable you to select the best training option. 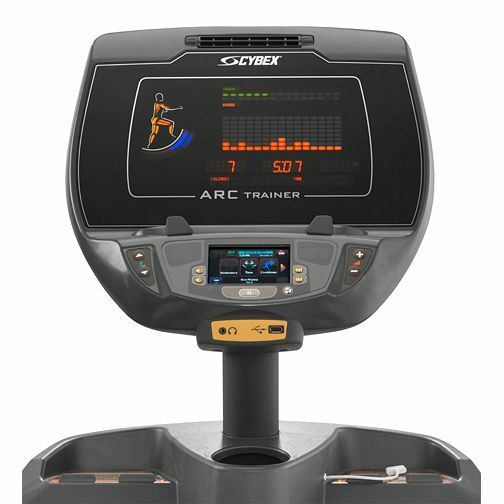 Heart rate measurement with the 770A arc trainer is easily achieved using the integrated pulse sensors in the handlebar or, for the ultimate in accuracy, a chest belt with built-in receiver (optional) can be used. 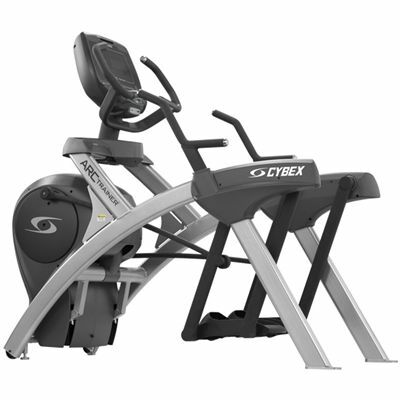 Due to unique Arc motion the Cybex 770A arc trainer helps you to achieve more results in quicker time by burning more calories than any other cross trainer or elliptical. It engages all the right muscles that demand lots of energy from the body when they are called upon to work. 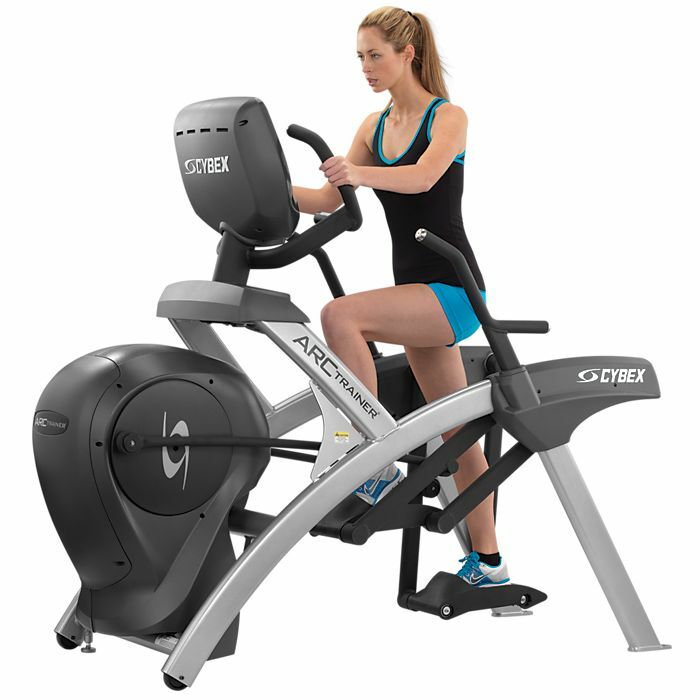 Differently than in other cross trainers on the market the patented Arc pattern of motion allows the hip and knee to move synchronously while the foot stays under the knee reducing joint pains and providing more comfortable workout. for submitting product review about Cybex 770A Lower Body Arc Trainer.